The studio has a piano, acoustic guitars,mandolins and other instruments.Students receive sheet music and written materials. This is a piece from the Bach Sonatas and Partitas for solo violin. This is a Beatles song that works well on mandolin. 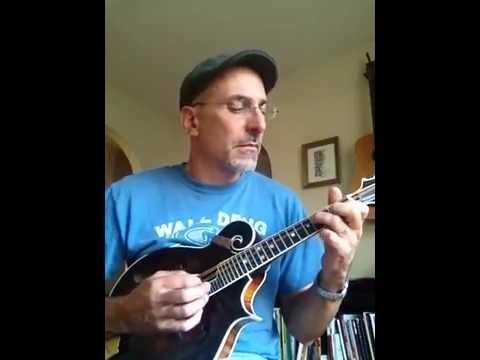 I have been playing the mandolin for about four years now and have had several different teachers, of which Marc is by far the best one I have had. I wish I had started with him. Marc is very patient and works with you to bring out your best effort. He challenges me with interesting music to play, helps me to understand the piece and shows me different ways to finger the notes. When I started with Marc two months ago I was playing hornpipes and dances and now I've moved up to Bach and Vivaldi. Marc is also an accomplished instrument maker. Marc is an excellent violin teacher with an easy-going yet effective style. My 8 year old daughter looks forward to her lessons and is rapidly improving with Marc's guidance. Marc makes the lessons fun by choosing music that my daughter enjoys and playing along with her. I highly recommend Marc as a teacher. Marc is good at keeping lessons Interesting and not just following a workbook, but still making sure you learn what you need to excel. and in my opinion has good taste in music. I've been taking violin lessons from Marc for several weeks and he is a great teacher. He has a low pressure teaching style that I really like because I get nervous when I play in front of other people. He seems very knowledgeable in both the technical aspects of the violin as well as the music theory. He is quick to return emails and is always happy to answer my questions. I've taken other instrument lessons in the past and Marc is by far the best teacher I've had. I'm really enjoying my lessons with Marc and I hope to continue for a long time to come.